Slowing economy, rising pollution impede India’s development. 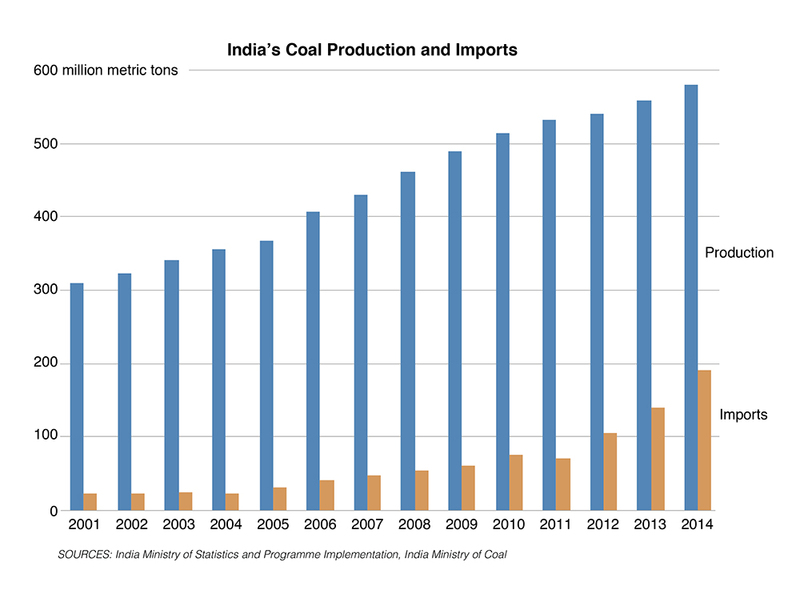 India pushes its coal mining sector to produce as much coal as it can. In Meghalaya, a two-man team takes three hours to fill a cart with coal valued at around $US 2. Click image to enlarge. Narendra Modi, India’s new prime minister, swept into office in May on a message of aspiration, and a reputation for action. During the nearly 13 years that Modi served as chief minister of Gujarat, before becoming the prime minister, his successes included drastically curtailing the number of hours that manufacturers in India’s premier industrial state went without electricity. The state’s transmission grid was strengthened and Modi promoted the development of 900 megawatts of solar generating capacity. That’s equivalent to the power generated by a large nuclear plant. Doing something similar at the national level is inordinately more difficult. 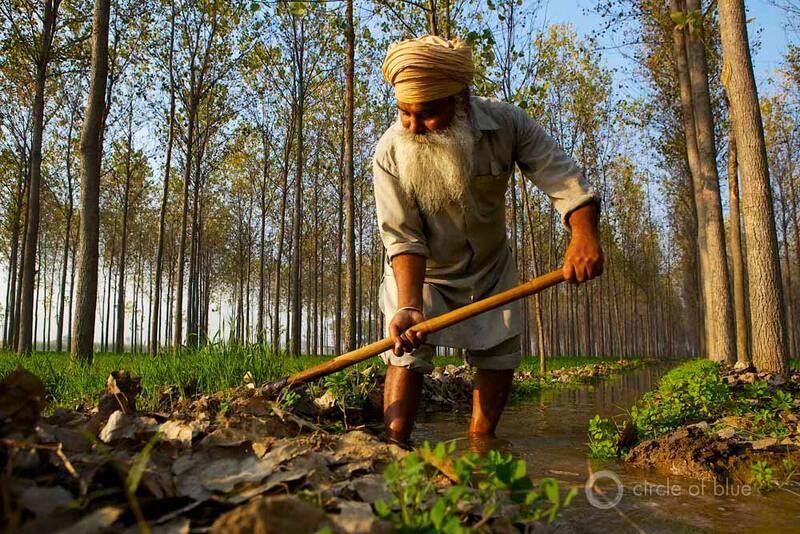 In three long reporting trips to India since 2012 Circle of Blue and the Wilson Center, our research partner, have documented a cycle of risk involving water, energy, and food that is harming India’s environment, slowing its economy, and impeding the nation’s development. — In Haryana and Punjab, India’s prime grain producing states, the policy of providing farmers free water, free electricity, and subsidized diesel fuel is producing endemic grain surpluses that are piled in stout walls of burlap sacks in government-financed depots. But the free and subsidized energy and water policy, which affects 700 million people who live on farms, also is depleting the country’s aquifers, causing a steady rise in the fossil fuel-related trade deficit, and producing dire electricity shortages that cause constant brownouts and blackouts. The inadequate power supplies, further hurt by India’s old and inefficient power grid that loses at least a quarter of the electricity that flows through it, hurt the nation’s capacity to establish more manufacturing businesses. Lack of power also is a factor in causing foreign companies to move their operations to other countries or avoid India altogether. — India has sought to diversify its power generating capacity by installing big hydroelectric dams and powerhouses high in the Himalayan range in five northern states. Hydropower plants receive substantial state and national government incentives and financing not only to generate more electricity but also to serve as major centers of employment and Himalayan development. But the hydroelectric projects are expensive to build and difficult to operate in the world’s most hazardous mountains, which are prone to earthquakes, floods, and landslides. 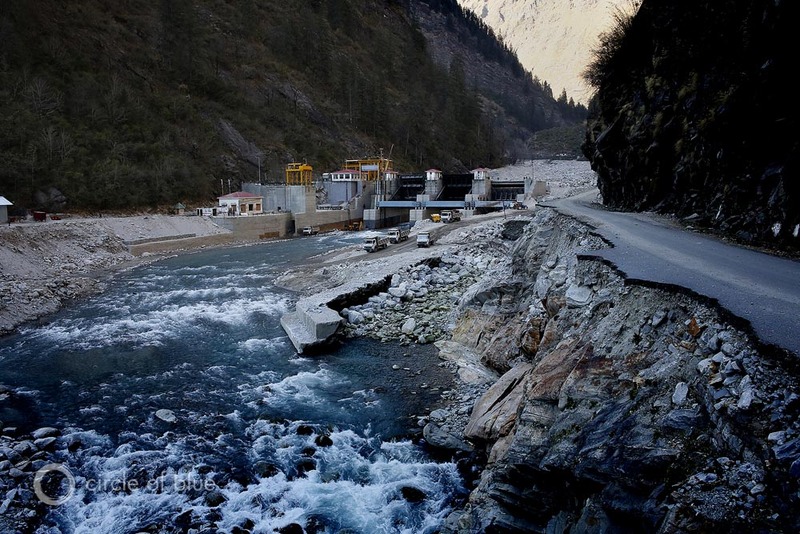 In recent years, as critics of hydro development have forecast for years, the challenge of generating power from Himalayan rivers is impeding construction of new projects. 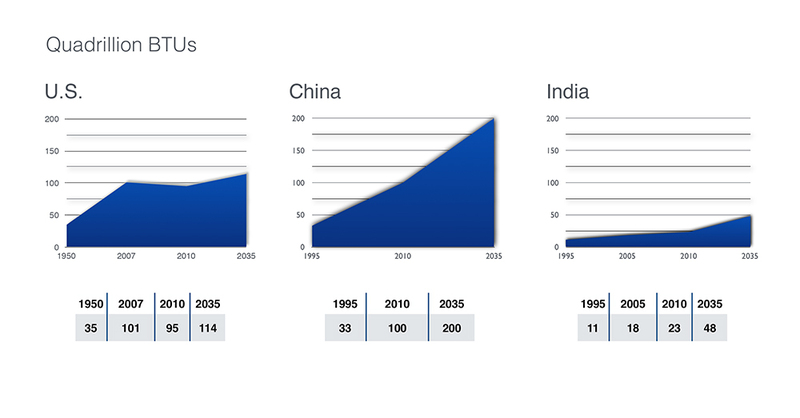 The growth in hydroelectric generating capacity has slowed dramatically to under 1,000 megawatts annually. In June 2013, a flood in Uttarakhand killed thousands of people, swept villages away, and seriously damaged the state’s hydroelectric dams and powerhouses. The ruinous flood also prompted a Supreme Court order and a study commission finding that called for Uttarakhand to halt development of 23 big new dams. Both decisions raised fresh questions across India about continuing to aggressively pursue Himalayan power development. — Most of India’s electricity is fueled by coal. India pushes its coal mining sector, almost all of it state-owned, to produce as much coal as it can, leading to regular battles between citizens and utilities for water to cool power plants, and to rampant water pollution from mining. In Meghalaya, a northeast India state, coal mining is done by hand in dangerous pits and shafts. Deaths of miners are frequent and acid mine pollution is so intense that earlier this year a top Indian court, the National Green Tribunal, ordered the state to shut the mines down until more effective safety and environmental regulations were put in place and enforced. — The brightest outlook in India’s deeply troubled energy sector is clean energy, particularly the wind and solar industries. India is developing both industries in its dry desert states where climate conditions are the perfect fit. In 2003, according to the Central Electric Authority, renewable fuels and technology accounted for 1,628 megawatts of generating capacity, or 1.5 percent of India’s total generating capacity of 108,000 megawatts. On January 1, 2014, renewable generating capacity reached 30,178 megawatts, according to figures from the Ministry of New and Renewable Energy. That represented almost 13 percent of India’s total electrical generating capacity. In the 11 years since 2003, renewable energy technologies have added an average of 2,600 megawatts of electrical generating capacity annually, according to the Central Electric Authority. That represents 22 percent of the 11,805 megawatts of generating capacity that India added annually in the same time period. Still, even that level of development is not sufficient to dramatically change India’s national energy outlook, which is that electricity shortages are forecast to persist for decades. Map of India’s Estimated Energy Reserves (2008-2012). Click image for fusion table. In Haryana and Punjab the policy of providing farmers free energy and water is depleting the country’s aquifers, and producing endemic electricity shortages that cause constant brownouts and blackouts. Click image to enlarge. 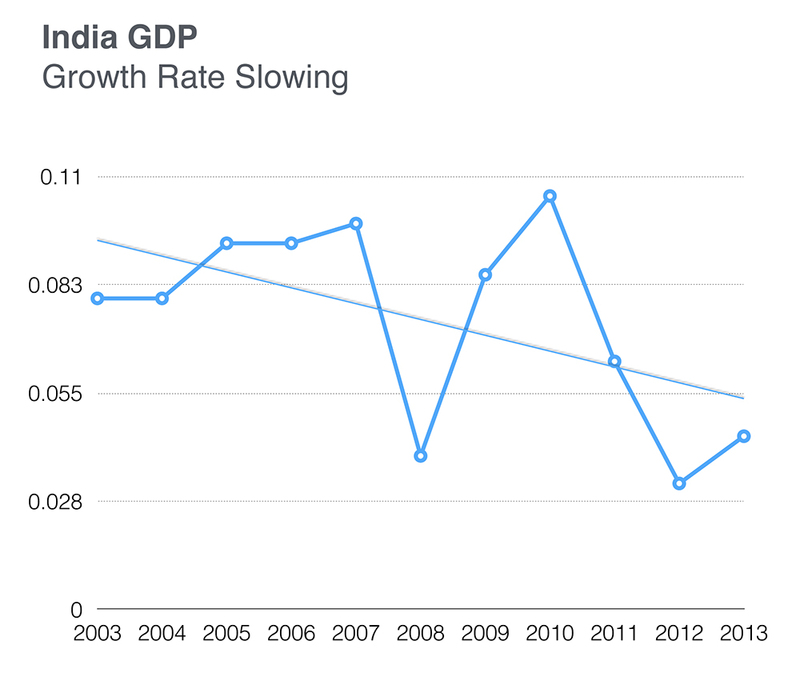 A decade after India regularly exceeded eight percent annual economic growth, and the nation was seen globally as the next industrial and high-tech juggernaut, India is slipping badly. 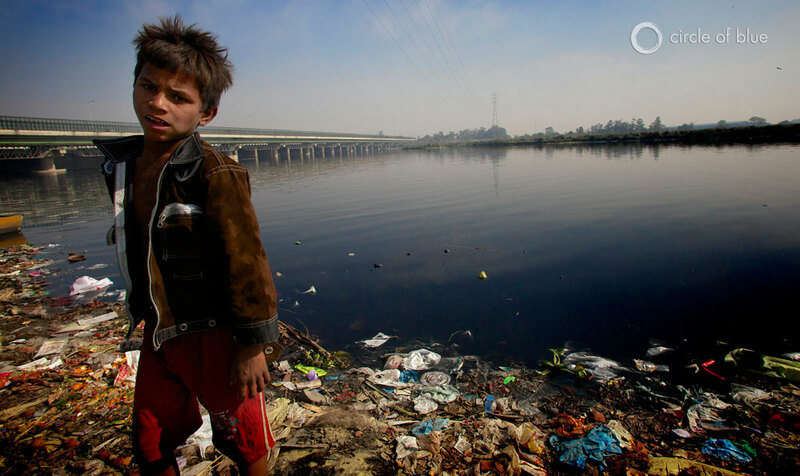 Contamination from sewage and chemicals in the Yamuna River in New Delhi make it one of the most polluted rivers in the world. Click image to enlarge. These trends and several more reported by Circle of Blue and the Wilson Center — including how coal production and combustion contribute to India’s heavily polluted air and water — confirm why energy production should be considered as one of Prime Minister Modi’s top priorities. But the one trend that is most likely to stir Modi’s passion is how energy scarcity – and endemic blackouts – are slowing the country’s economy. A decade after India regularly exceeded eight percent annual economic growth, and the nation was seen globally as the next industrial and high-tech juggernaut, India is slipping badly. It’s not just endemic corruption, impenetrable bureaucracy, deteriorating air and water, and rapid population growth that make doing business in India a test of courage. Lack of electricity in almost every state make doing business efficiently a test of patience. These are the conditions that greet India’s new prime minister. Indians in every region of the nation, in every trade and profession, at every level of society understand that the social, economic, and ecological challenges that confront modern India need immediate attention, and effective and active resolution. Prime Minister Modi has a decent chance to fix some of this because he starts his work where the reality of India’s troubled prospects meet the earnest hopes of its talented and determined people, what Modi during the campaign called “Achche Din Aane Wale Hain,” the good times that are ahead. But Modi needs to help India define what he means by “the good times.” In his first months in office he’s targeted a handful of priorities to work on immediately, priorities sorted from the extravagant number of problems that require solutions. At the very top of those priorities is modernizing transportation infrastructure, and more clean energy development. Both are steps toward improving energy efficiency and fixing India’s faltering energy production, changes that also will go a long way to cleaning up the country’s air and water. There is, though, a very long way to go. In plain words, India is not producing enough energy to supply its citizens, businesses, and communities. The Central Electric Authority and the Ministry of Power reported in 2013 and again this year that shortages of coal caused coal-fired plants across India to operate at well below their generating capacities. In some cases new plants did not open because of the lack of fuel. In plain words, India is not producing enough energy to supply its citizens, businesses, and communities. The gulf between available energy supplies, demand, and imports is growing wider and more expensive. The numbers posted annually by the Ministry of Power and the Central Electric Authority tell the story. By March 2014, India’s utilities had built 237 gigawatts of electrical generating capacity. Over the last 5 years, the average annual increase in generating capacity has been 14 gigawatts. That is sufficient to provide the average Indian household 684 kilowatt-hours of electricity annually. Compare that to the U.S., which this year has 1,050 gigawatts of electrical generating capacity, enough to provide the average American household over 13,000 kilowatt-hours annually. China has 1,150 gigawatts of generating capacity, which provides Chinese homeowners an average of 3,300 kilowatt hours annually. While it’s true that India generates more electricity each year, the rate of annual growth means it will take at least six more decades for India to generate levels of electricity that are comparable to what France, Germany, the United States, and China generate today. And with a population that is producing 25 million new mouths a year, according to the World Health Organization, India by 2055 could have 2.3 billion people and require 1,500 to 2,000 gigawatts of generating capacity to serve its power demands. India is rich in energy resources, talented in engineering and design, and immensely ambitious. But its management of the energy sector, and its undisciplined understanding of the limits of technology and ecology in the era of climate disruption, are important factors hampering energy production. At some point, if he doesn’t know it already, Prime Minister Modi will be thoroughly briefed on the fraying circumstances of India’s energy sector. The gulf between India’s energy production capacity and the capacity of the world’s industrial nations is immense and not closing. The U.S. consumes roughly 100 quadrillion BTUs (100 quads) of energy from coal, oil, natural gas, wind, hydropower, biomass, solar, and other sources, according to the Energy Information Administration, a U.S. data agency. China’s total energy consumption is 115 quads. India this year will consume roughly 25 quads of energy from all sources. Its energy consumption is growing about 1 quad annually. At that pace it would take the rest of the century to reach energy consumption levels comparable to those in the United States and China this decade. Graphics: India GDP – Growth Rate Slowing, India’s Power Production, and India’s Coal Production and Imports. Click images to enlarge. India’s Overall Energy Production (quadrillion BTUs). Source: U.S. Energy Information Administration. Click image to enlarge. Meghalaya produces over six million metric tons of coal annually, using primitive tools to fracture rock by hand and haul coal from long “rathole” mines. 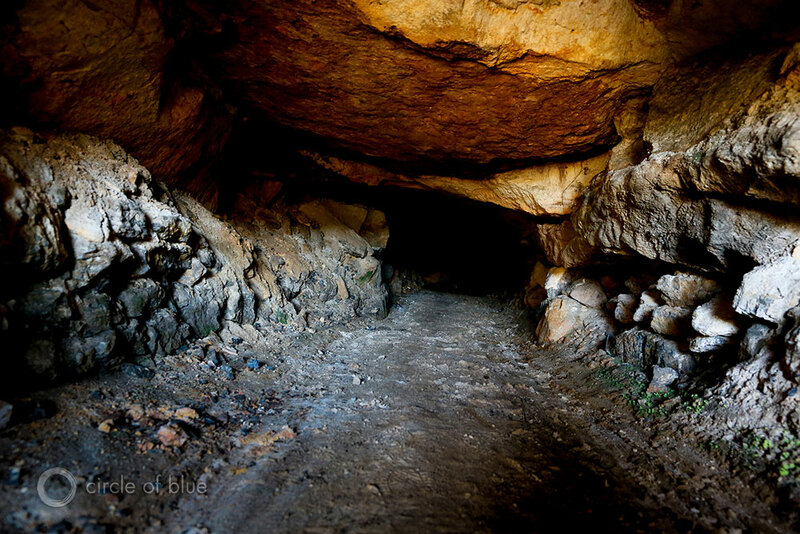 This mine, so narrow that a grown man has to crawl on his hands and knees, is southeast of Shillong. Click image to enlarge. Charcoal is an important source of fuel for heating and cooking in Megahalaya, in northeast India, and one of the factors in the state’s spreading deforestation. 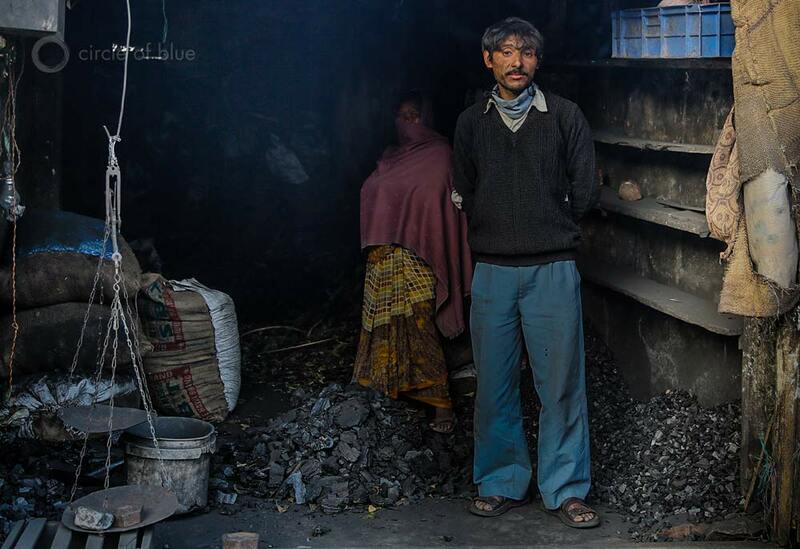 This charcoal dealer sells from a small shop in Shillong, the state capital. Click image to enlarge. In Meghalaya, a northeast India state, coal mining is done by hand in dangerous pits and shafts. 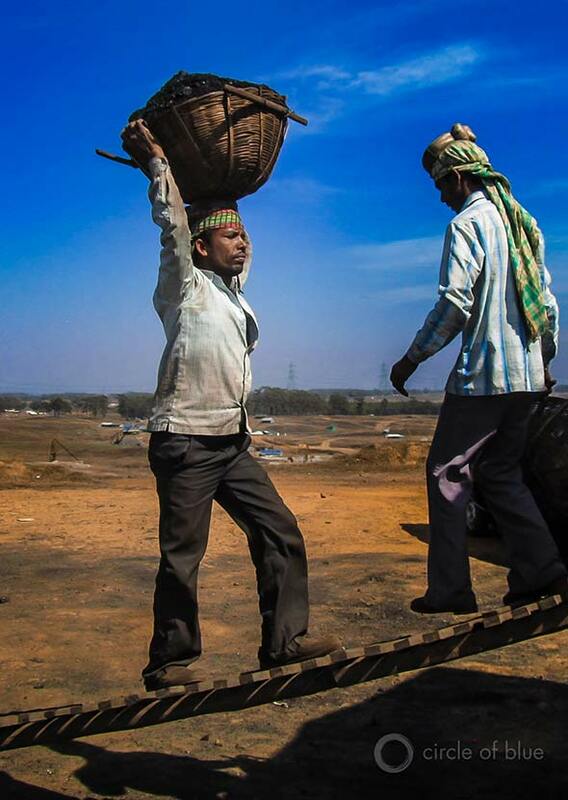 Coal is loaded by hand into trucks for transport to steel, cement, and chemical plants in neighboring Assam. Click image to enlarge. 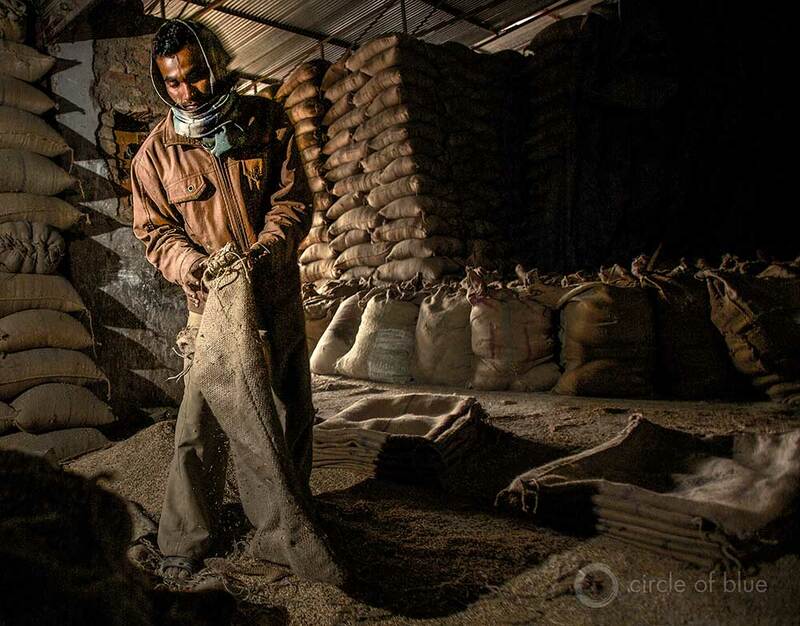 In Haryana and Punjab, India’s prime grain producing states, the policy of providing farmers free water, free electricity, and subsidized diesel fuel is producing endemic grain surpluses that are piled in stout walls of burlap sacks in government-financed depots. Click image to enlarge. 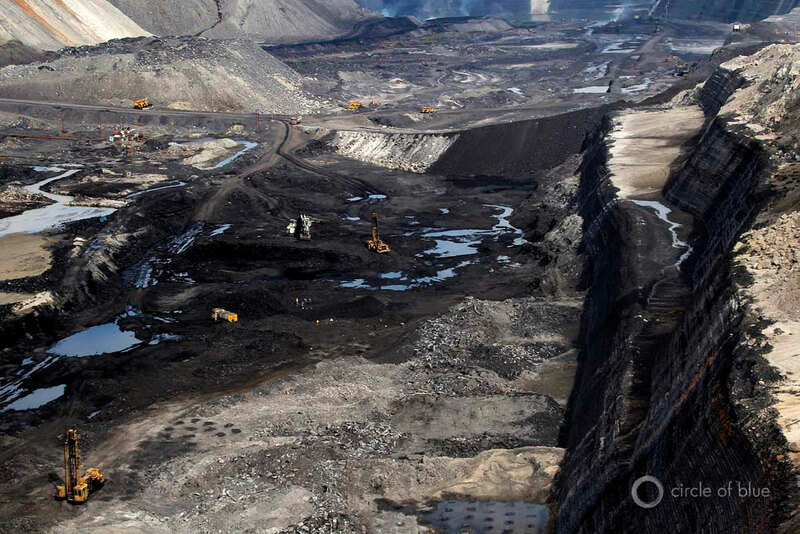 Most of India’s electricity is fueled by coal, much of it from big surface mines, like this one in Chhattisgarh in eastern India. Click image to enlarge. 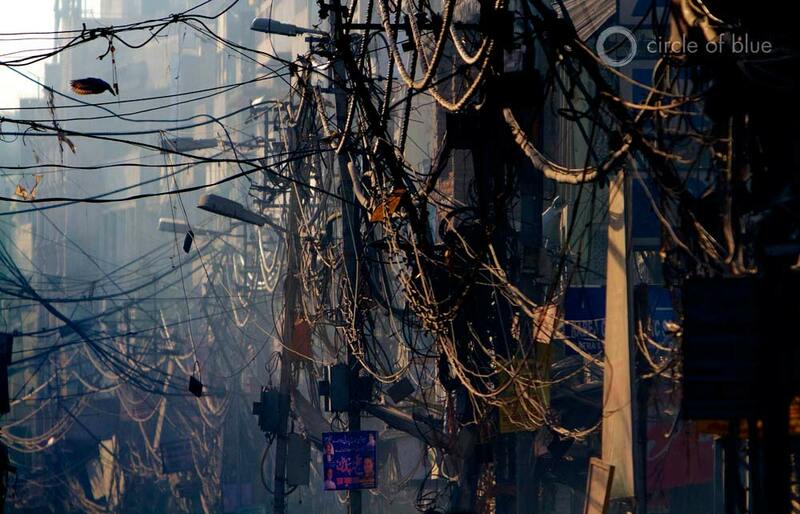 The gulf between available electricity and demand is growing wider and more expensive in New Delhi and other cities. One reason. From a quarter to a third of the country’s electricity is lost on inefficient electric transmission systems. Click image to enlarge. In June 2013, a flood in Uttarakhand, an Indian Himalayan state, killed thousands of people, swept villages away, and seriously damaged the state’s hydroelectric dams and powerhouses. The dam at Vishnuprayag, on the Alaknanda River, was buried in mud and boulders. Click image to enlarge.